Cherokee Daybreak (Cornus florida 'Daybreak') is another interesting North American Flowering Dogwood variety. 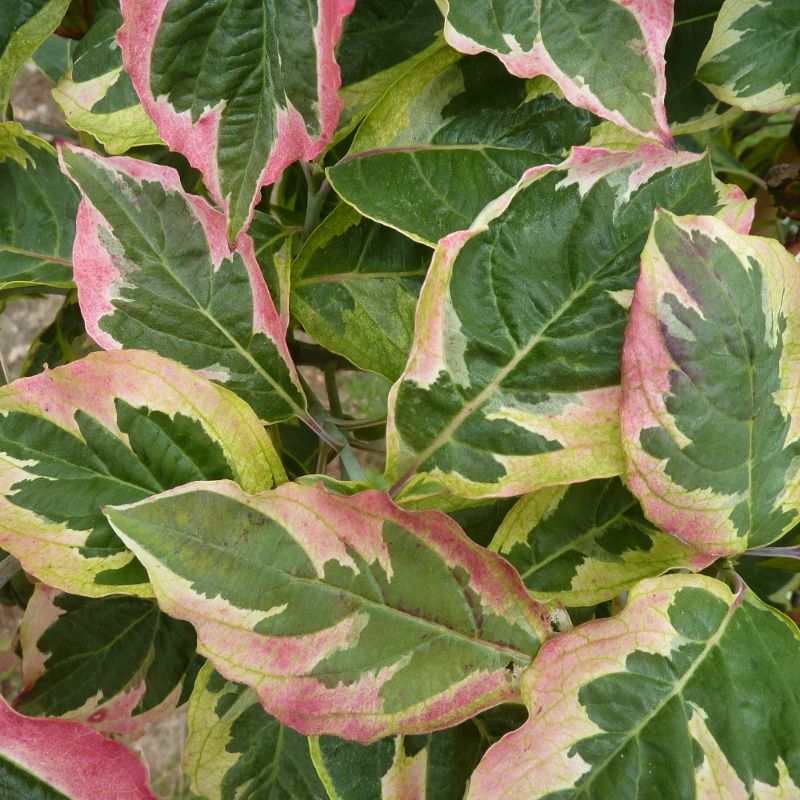 This tree has an upright branching form and has nice variegated leaves with creamy-white margins and splendid autumn colour. Its flowers are a pure white colour with green flower centres. This tree is supplied at a height of between 0.8 and 1.3 metres in a 7 or 12 litre container for year round planting and better results than from either bare-root or rootballed stock.